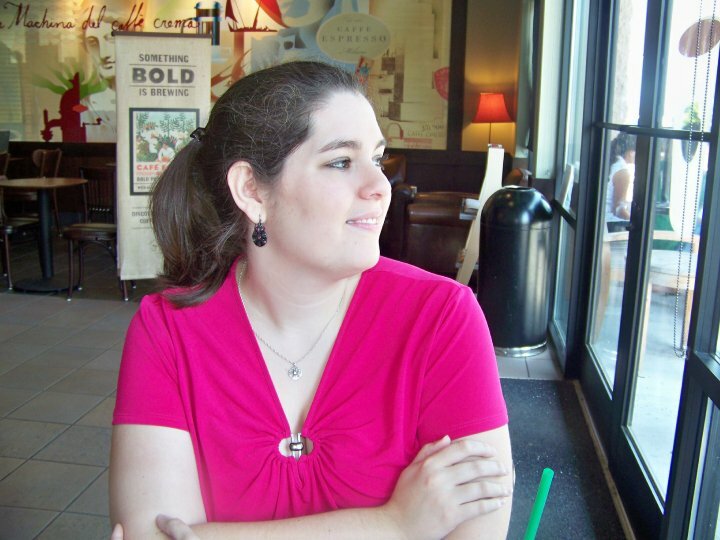 I'm very excited to have Courntey Allison Moulton here today as a feature for Best I've Read 2011. Her novel ANGELFIRE comes complete with a swoon-worthy boy, one of my top book boyfriends of the year, and lots of great swordfighting. Please take a few minutes to learn more about this amazing author! If this were Twitter, how would you pitch Angelfire in 140 characters or less? The angel mythology you use in Angelfire is very interesting. How much of this is drawn from research and how much is your own creation? I grew up with a Roman Catholic mother and Protestant father, so faith has always been a part of my life. I’ve always been fascinated by the darker side of Christian lore and its monsters and scary stories. While I’ve taken liberties with a decent amount of the world-building in Angelfire, I’ve been able to pick and choose beliefs that work in my book from a religion that has branched off so many times and retold stories in such different ways. The fighting scenes in Angelfire were incredibly well-written. Where did you draw your inspiration for these scenes?? Thank you! I’m really proud of my action scenes and love writing them. As a very visual person, I see every single movement in my head and it translates well on paper. I’m very happy that readers appear to enjoy the action in my books because I feel it is pretty unique, especially in the young adult genre. I’m a huge stylistic action movie geek and I’m sure that shows in my writing. One of my favorites is Equilibrium, not only because it’s an incredible dystopian story, but also because the stunt team involved created its own fighting style called Gun Kata, a feat that I admire greatly. In my own books, I tried to create my own style of fighting drawing from mixed martial arts, the brutal method of Keysi, and a mixture of Eastern, Western, and Middle Eastern sword fighting techniques. I’m obsessed with history, so a tour of my favorite historical sites would be my dream vacation. Forget the most beautiful beaches in the world! I’m desperate to see every last inch of Egypt, Greece, Italy, visit Mayan and Aztec ruins, climb through the temple ruins at Angkor and Preah Khan...I want to see EVERYTHING. I know I’ll pee my pants the moment I enter the Egyptian Museum in Cairo. Can you share anything about Wings of the Wicked? I will say that writing Wings of the Wicked took an enormous toll on my soul. It’s darker, more brutal, and I feel like a became a real writer during its completion. Angelfire was written for fun during NaNoWriMo and I am immensely proud of its sequel. I am very excited to have one copy of ANGELFIRE to give away! Today the Best I've Read blog is featuring HEREAFTER by Tara Hudson! Please click here to learn more about this book and author! I have a copy of Angelfire so I'll let other people try to win this. It was an exceptional book though. I can't wait for Wings of the Wicked! I enjoyed the interview very much! It must have been interesting growing up with both Catholic and Protestant beliefs mixed together. Not a huge set of differences, but there are some issues where I am sure there were some head butting, lol. I'm looking forward to this book. A new to me author - sounds very interesting. I have yet to read Angelfire but it does sound interesting. I would love to get a chance to read it. I love Courtney's idea of a dream vacation, it sounds like the type of trip I would love to take. 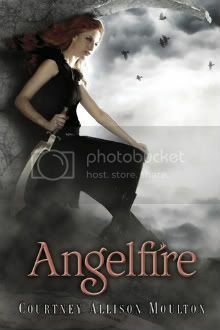 Angelfire sounds like a great book. I love these sort of stories. Thank you very much for the giveaway! Oh my goodness, this was such a fun post to read. I was able to read this book once this year, thanks to getting it on loan from my library. But, I would love to own a bright shiny copy of my own. A friend of mine got it recently and then taunted me with it, I am so freaking jealous because I remember saying I wanted it so badly. lol. Thank you, so much for being so generous in this giveaway!